As news spreads about a new outbreak of Anthrax, even as the country faces the threat of the chikungunya wave, fears about contamination and contraction have left people paranoid. Bacillus anthracis cases have been reported over the past few weeks in the localities of various sections such as the eight communal section of Petit Goave, Corail. Assessments undertaken by local peasants estimate that 6 oxen have succumbed to the disease, and at least 9 humans have been infected. They urged the UCS-Goavienne and the local communal agricultural office to take urgent action to help eradicate the disease, which is impervious to heat, many substances for disinfection, drought, gamma and ultraviolet rays. Probably the most pressing part of the matter is that contaminated meat is being sold on the market, representing the threat of a widespread epidemic. In 1770, Haiti's capital Port-au-Prince was struck by an earthquake. The political and social institutions of those times were completely shocked and blundered by the earthquake. Taking advantage of the destruction, majority of the slaves managed to escape, leading to further chaos. 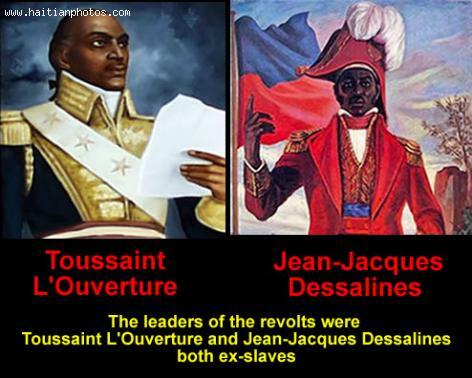 The stability of the country was lost and it went on to prove that Haiti then depended on its slaves for its stability. Even more disturbing was the fact that immediately after the earthquake, a mysterious plague claimed the lives of 15,000 people in Haiti. The escaped slaves were responsible for harvesting and cooking and in their absence, the country was starving. Hiding in the countryside, the slaves even managed to cut off the supply of wild food, worsening the situation even more for the city-dwellers. As a result people purchased meat from Spanish merchants. These merchants failed to sell these meat in Spain. Soon there was an outbreak and people started falling sick with blackened lesions that were painful and eventually led to death. Back then, people could not figure out what caused this. Some thought it to be smallpox while epidemiologist Noah Webster called it Black Death.